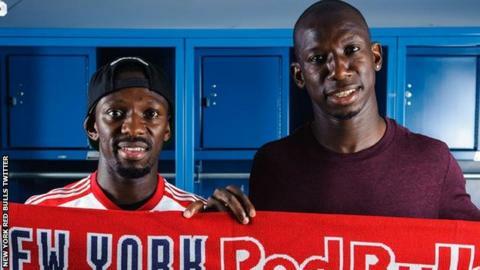 Shaun Wright-Phillips has signed for New York Red Bulls and will join his younger brother Bradley at the Major League Soccer club. The 33-year-old winger, who made 36 England appearances, has made the move following nearly four years at QPR. He has also had spells at Manchester City and Chelsea and made 299 Premier League appearances. "He has been training here and we have seen his professionalism," Red Bulls head coach Jesse Marsch said. "We think he is a tremendous addition both on the field and as a veteran presence in our locker room." Shaun Wright-Phillips, who was a free agent after his QPR contract expired last month, played with striker Bradley at Manchester City in 2004. Bradley Wright-Phillips, 30, joined Red Bulls in 2013 and has scored 41 goals in 63 appearances for the club.